Maastricht, the Netherlands – The European Journalism Centre (EJC) is excited to announce the launch of LEARNO.NET – a cutting-edge, online video training platform for journalists. The LEARNO.NET platform is journalism training for the 21st century. It is open to anybody with an interest in digital storytelling, accessible worldwide, and developed by an international A-list of instructors including Nicholas Whitaker and Simon Rogers from Google News Lab, Craig Silverman from Buzzfeed Canada, and renowned data journalism practitioners Paul Bradshaw and Alberto Cairo. 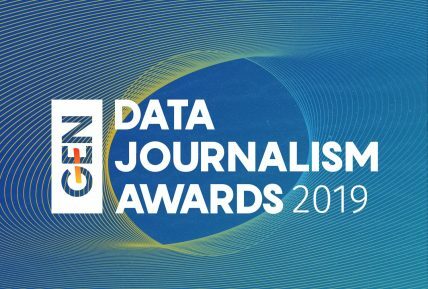 Following the success of the EJC’s renowned Data Journalism Handbook, and its associated ‘Doing Journalism with Data’ MOOC, LEARNO.NET is the Centre’s latest step aimed towards promoting best practice journalism through digital storytelling. LEARNO.NET is made possible through the support of the Dutch Ministry of Education, Culture and Science, Google, and the World Bank. This course will teach you how to use Google search more efficiently and reveal some of its secrets that are useful for any of your research online. LEARNO.NET is an initiative of the European Journalism Centre (EJC). The EJC is a non-profit, international foundation devoted to the development of high quality journalism. To this end, the EJC facilitates professional training through a number of platforms, and LEARNO.NET is the Centre’s latest initiative aimed towards cultivating strong digital storytelling skills for media professionals and amateur journalists alike. Website: http://ejc.net/.